World of mouth is one of the most powerful channels that marketers have, but only a handful of companies are systematically driving this channel online via a referral program. Often, there are barriers such as tech and marketing resources that hinder the referral. Building the business case: Everything starts with developing a strong business case. 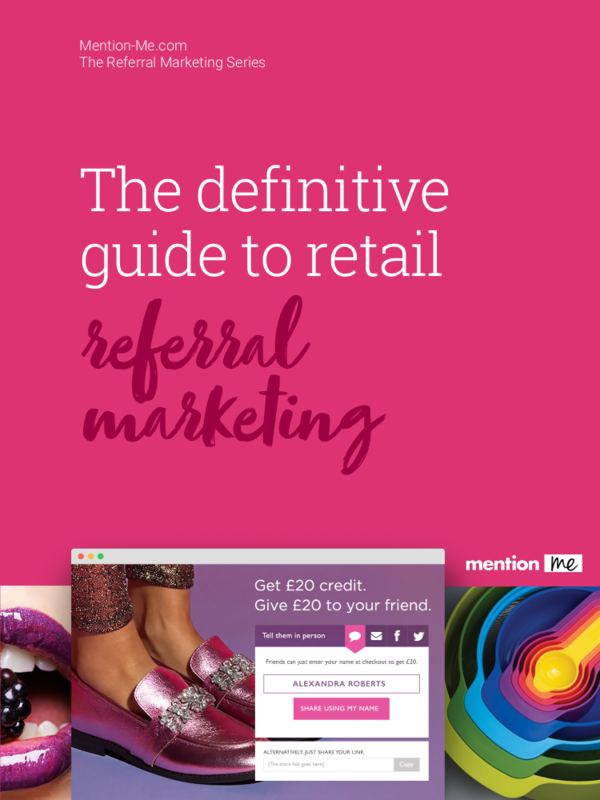 At Mention Me we have analysed that for businesses that are more mature online, or for multi channel businesses, adding a referral program should drive 10-30% of online acquisition within 6 months of launch. Outlining the key success drivers: The referral offer is only one element which contributes to referral success. Our guide also considers: messaging best practice, design, sharing options and more. Planning for the long term: Getting a referral program live is only the first step. AB testing every element means a fully optimised campaign which brings efficient ROI. Once the program launches there will be our Client Success Manager on hand to help you optimise your referral and AB test different variants of the offer to bring successful ROI for your business. We have pulled together this guide from our insights of working with great brands like Cole Haan, Rainbow, Farfetch & Feelunique.